A Buy-Sell Agreement is legally binding agreement between owners of a business to have the capability of purchasing the other partner’s business shares and interests in the event of death or becoming incapacitated. Funding the buy-sell with a life Insurance policy can be used to ensure the availability of funds which would then be used for the buyout of deceased partner’s shares. If you are a sole business owner or have one or more partners, a buy/sell agreement will provide piece of mind and confidence knowing that if a pre-mature death or disability occurred, the business would have a clear direction on what was to happen and how. The business could continue to operate without interruption. For business owners, anticipate that certain situations such as incapacitation, divorce, bankruptcy, retirement, or death can happen anytime. These situations might put the business’ stability at risk, exposing it to the possibility of liquidity problems, ownership disputes, and eventually, failure to operate. The proceeds are generally tax-free, or be subjected for alternative minimum tax for C Corporations. As a business owner, you want to protect your business by preparing for whatever situation that may arise. Having a funded Buy-Sell Agreement can help answer the question, “How well are you planned and how can you tell”. 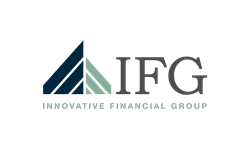 Call Innovative Financial Group for a complimentary conversation to ensure you have protected what is important to you.